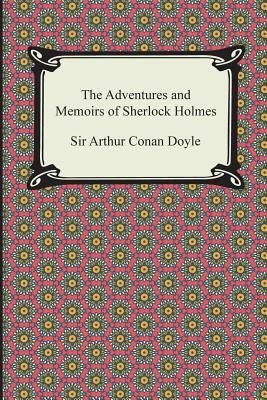 Adventure and mystery readers alike will love following London's most famous fictional detective, Sherlock Holmes, in Sir Arthur Conan Doyle's short story collection, "The Adventures and Memoirs of Sherlock Holmes." Created in the late 1800's, Sherlock Holmes has become one of the most recognized and endearing sleuths in the mystery genre. In "Sherlock Holmes and the Red-Headed League," Holmes must figure out the connection between a group of red-headed men, an Encyclopedia Britannica, and a bank robbery for a confused client. Holmes doesn't only take bank robberies and small crimes, though. Many hail "Sherlock Holmes and the Speckled Band" as the best of the detective's stories every written; Holmes must solve the murder of a young woman who was locked in a room alone by herself. What is the only clue? The young woman whispered "the speckled band" to her sister right before she died. The collection also includes Doyle's favorite Holmes tale, "Sherlock Holmes and the Five Orange Pips." As one of the darker and more popular of Holmes stories, Holmes must solve a string of murders before the culprits strike again. These combined with other classic Holmes tales are the perfect stories for readers of all ages, making "The Adventures and Memoirs of Sherlock Holmes" a perfect addition to any collection.